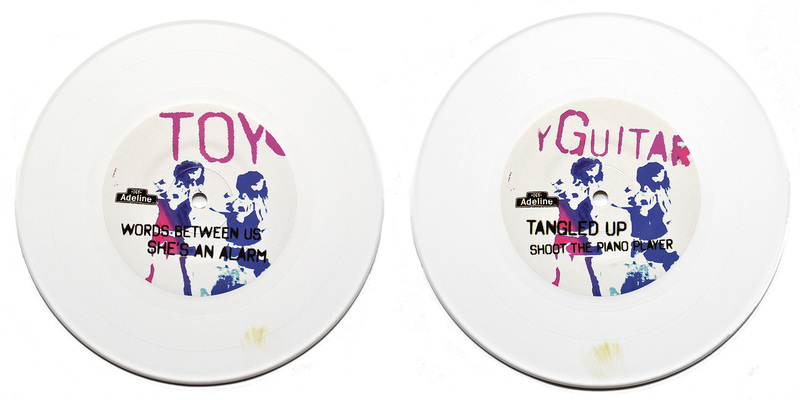 Special info: Initially, there should have been only two colors (300 on white and 200 on lime green exclusively for Interpunk). 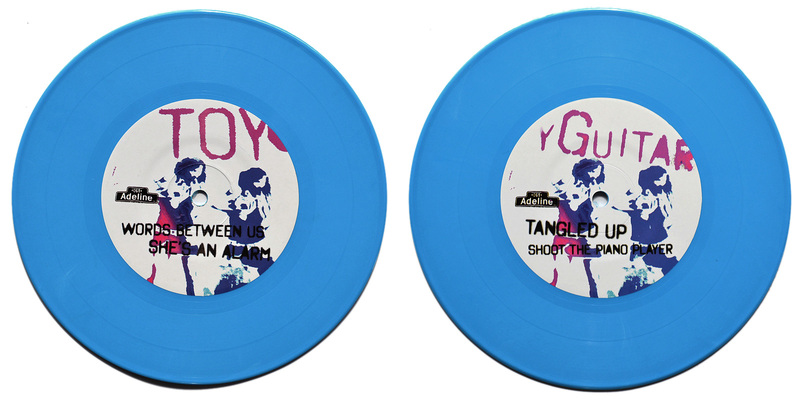 Most of the lime green pressing got damaged in transit and as the plant were out of lime green vinyl, blue ones were pressed as a replacement instead. 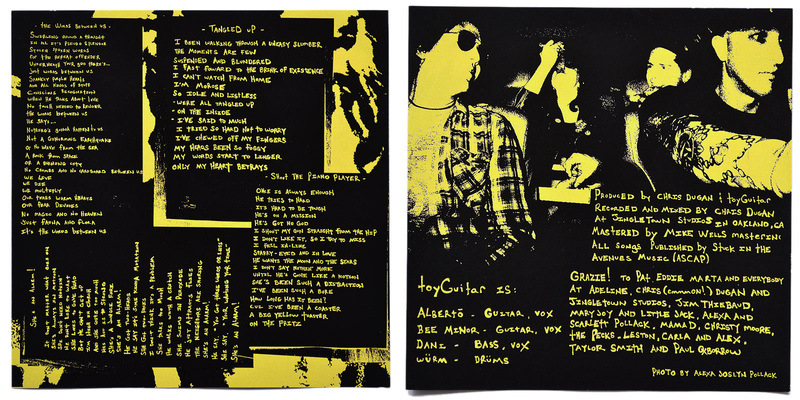 An unknown quantity of lime green copies survived and ended up being sold through Interpunk after all. 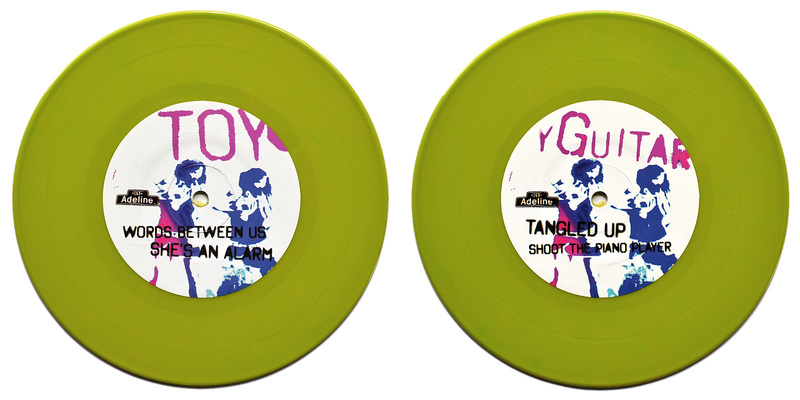 Lyric sheet (white and lime green) and download code (lime green) are included. 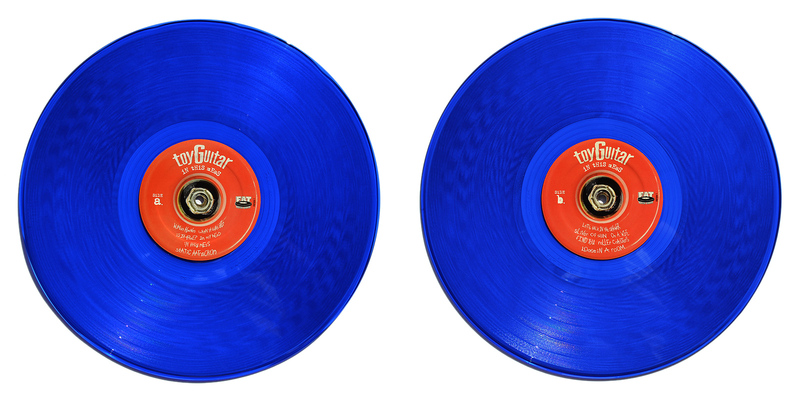 The blue version came without either. 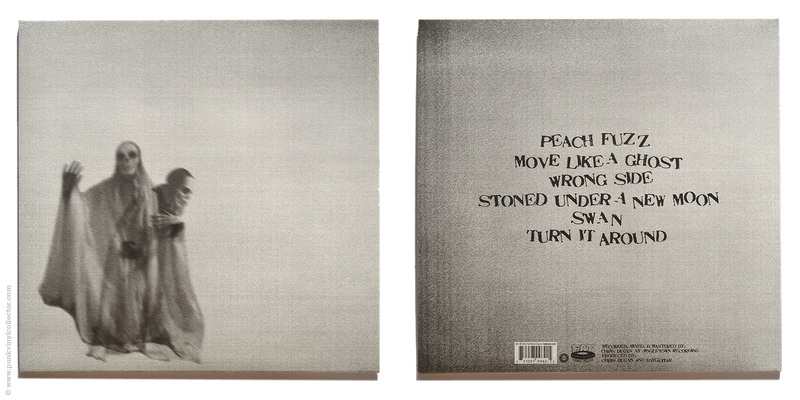 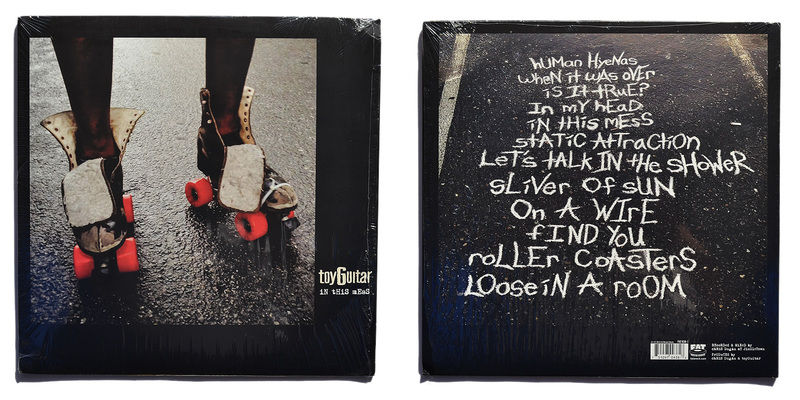 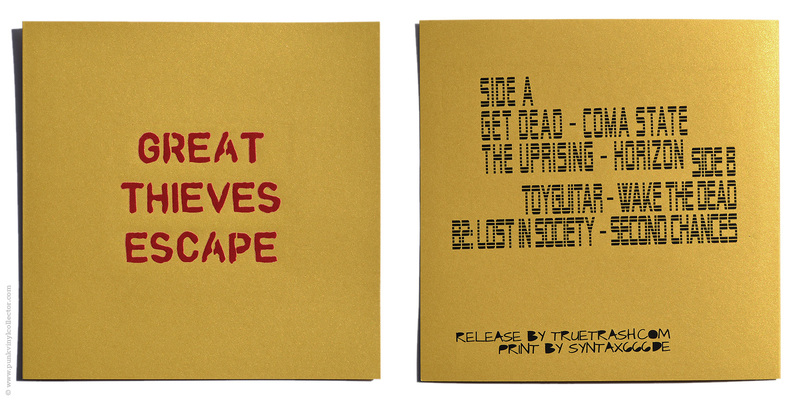 Special info: Comes with lyric sheet and download code. 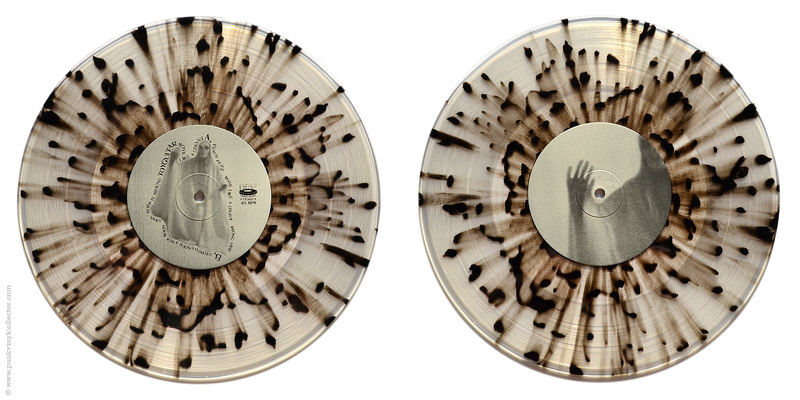 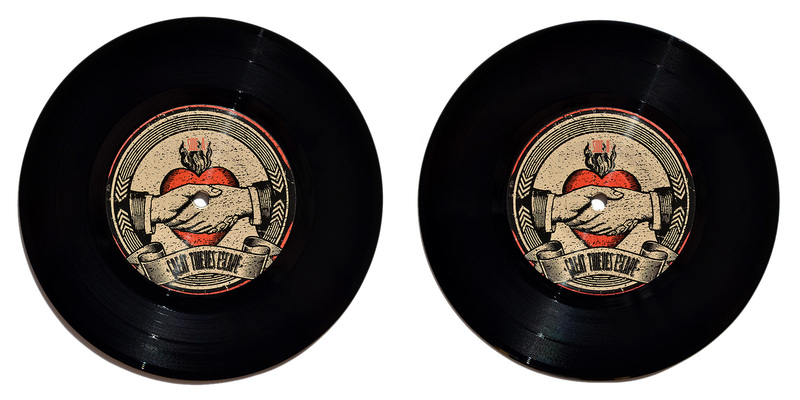 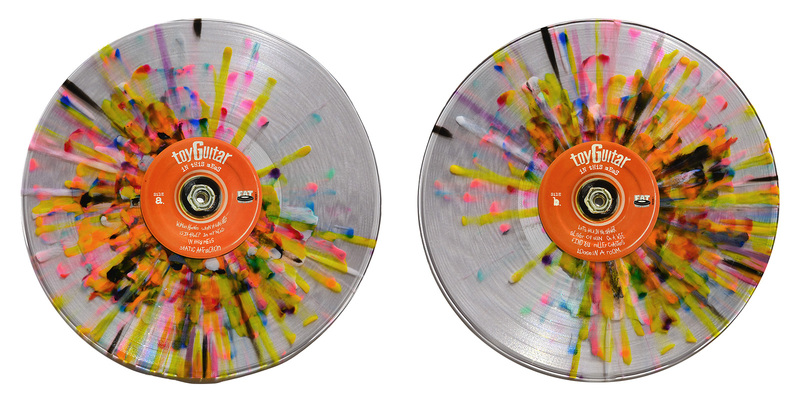 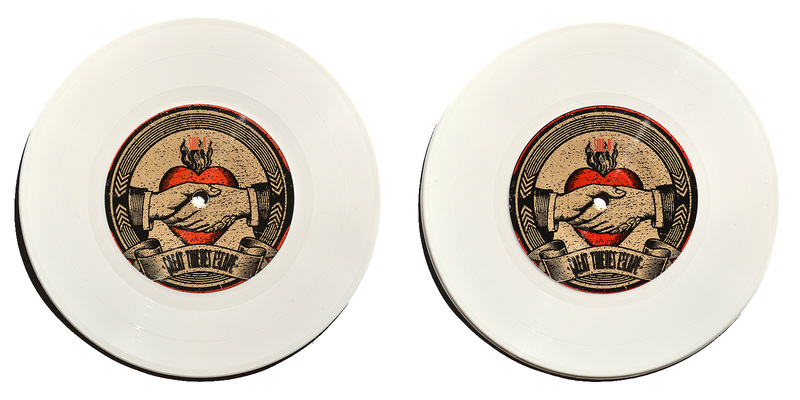 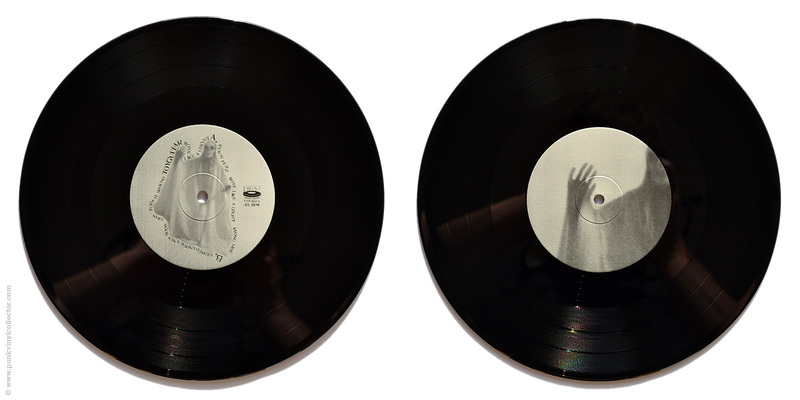 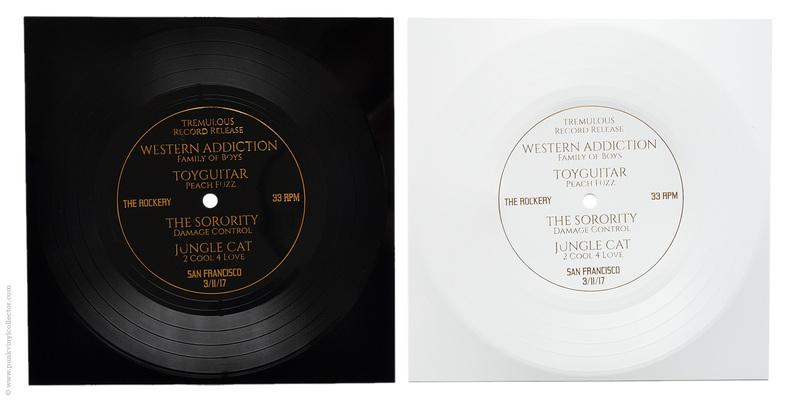 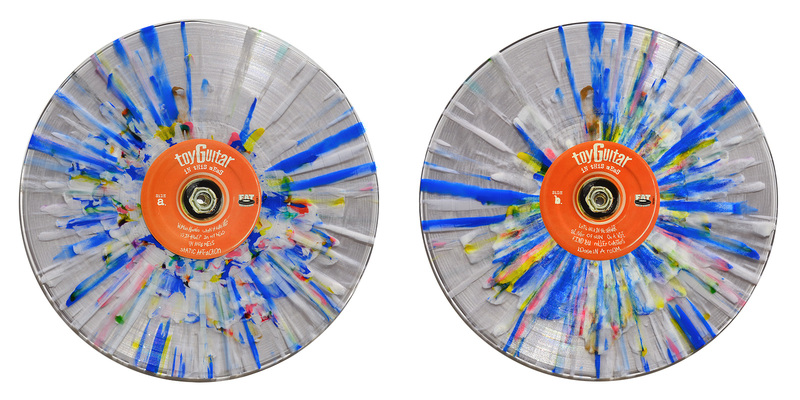 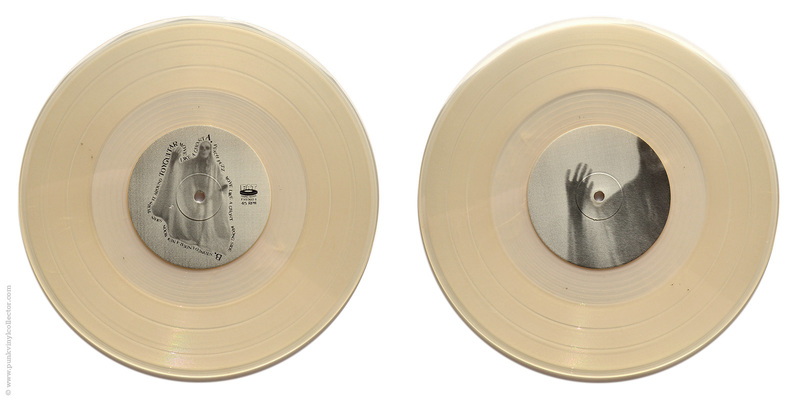 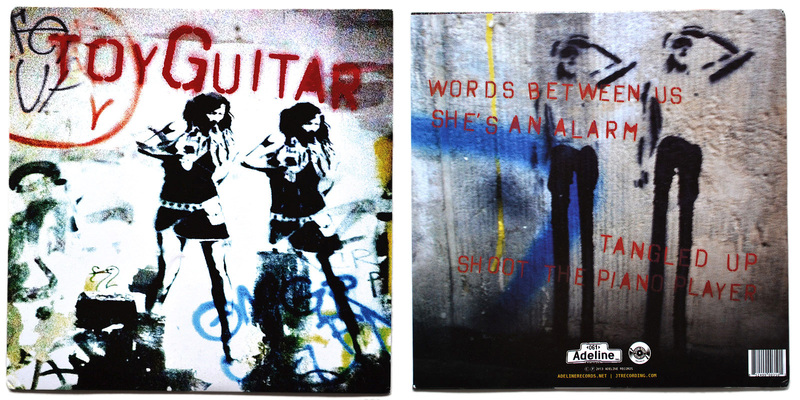 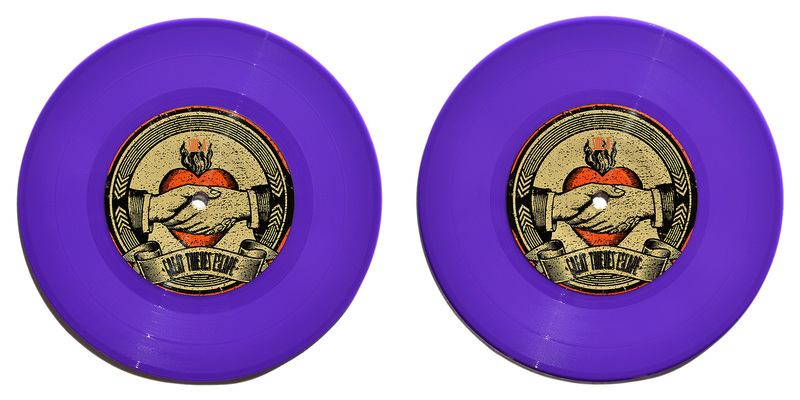 There are some different variants of the clear vinyl w/ splatter. 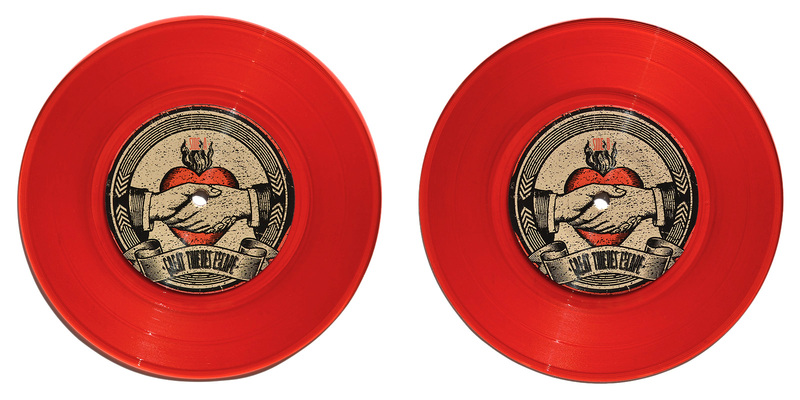 Special info: All versions come with a download code. 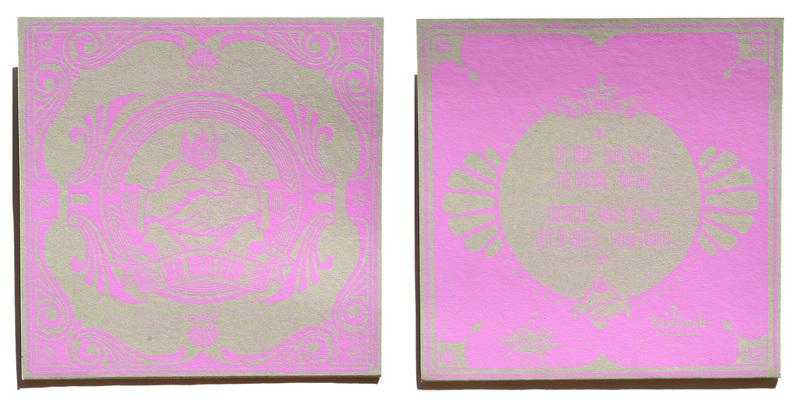 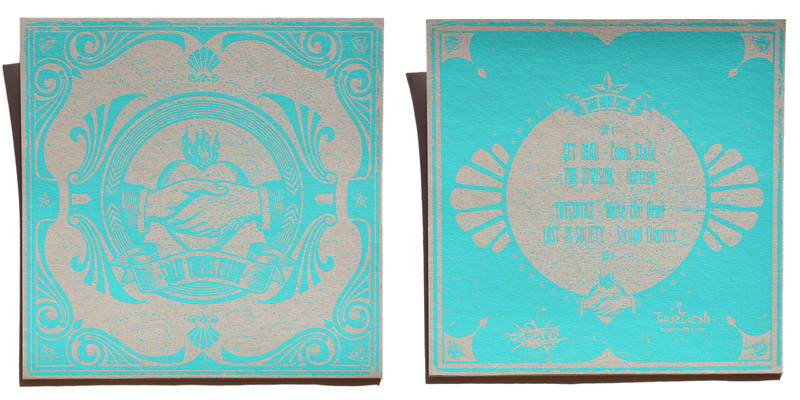 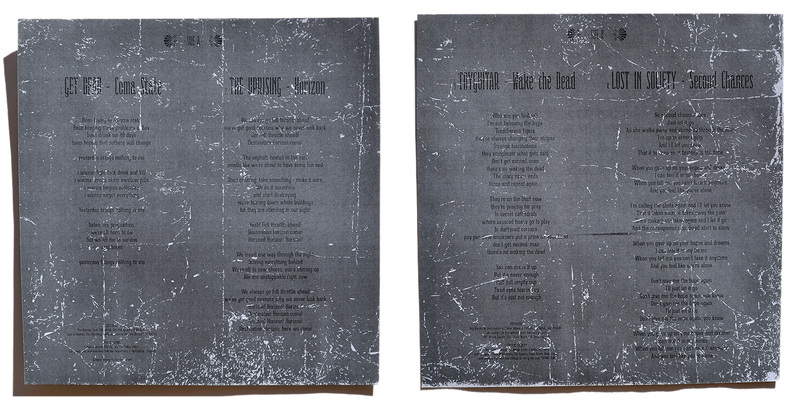 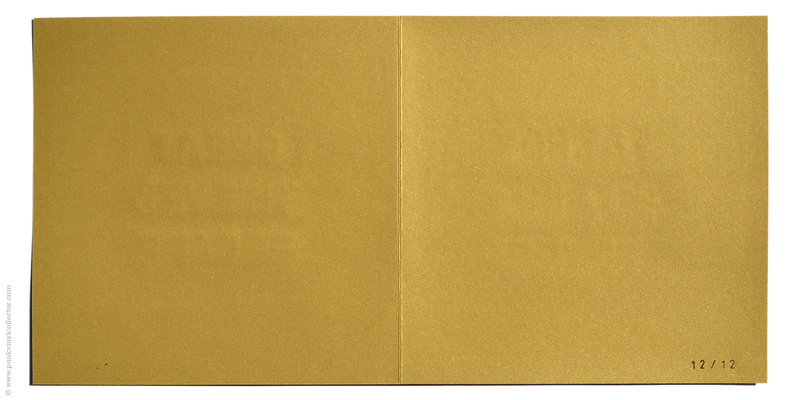 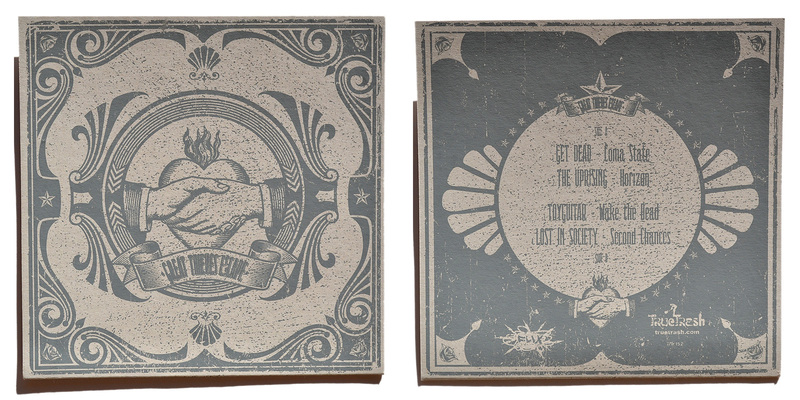 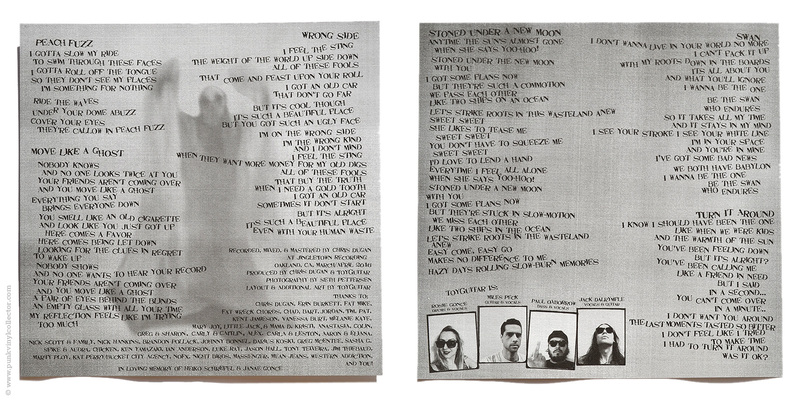 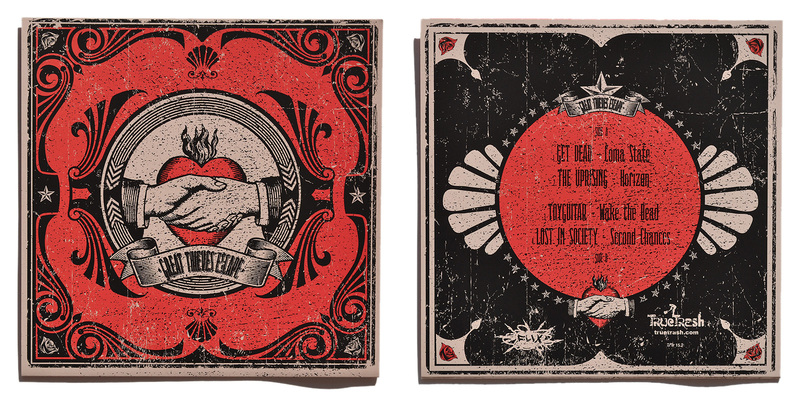 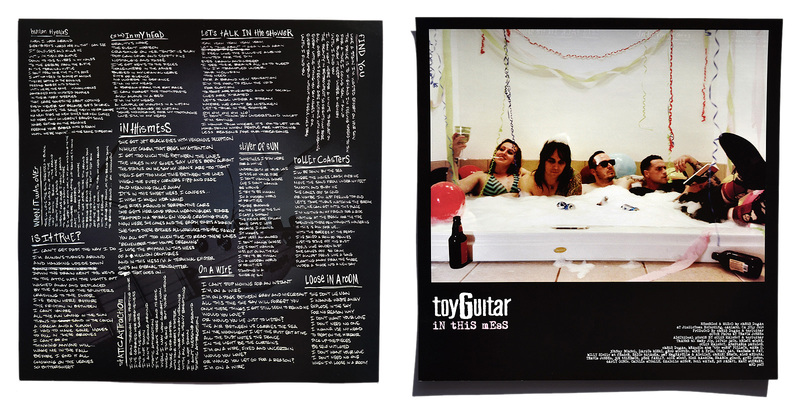 The screen-printed versions have a lyric sheet, while it’s printed inside the fold-out sleeve for the colored versions. 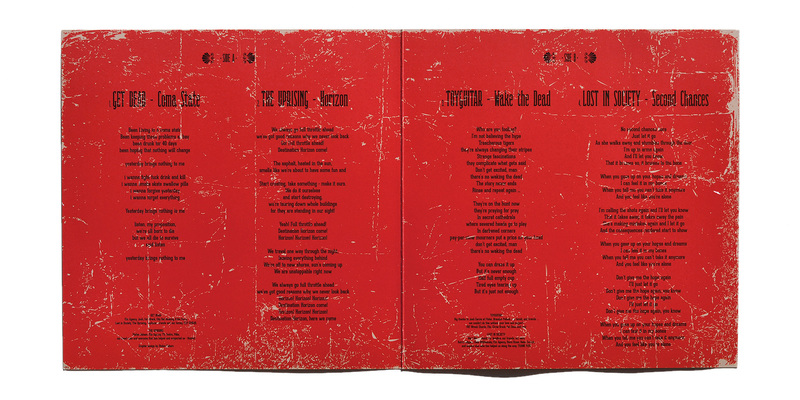 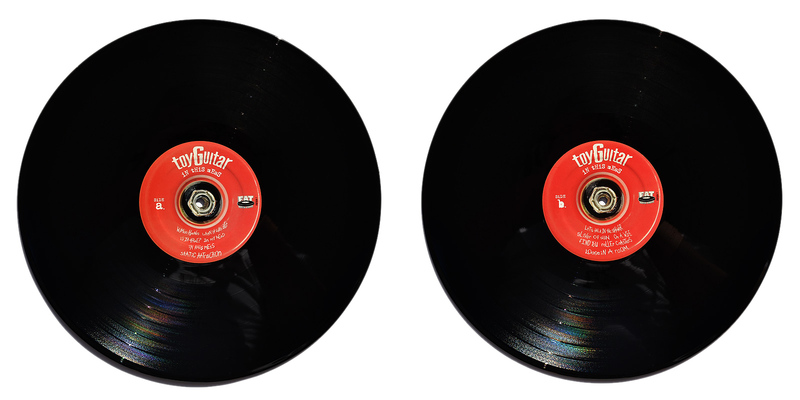 There were 12 black over-run vinyl copies and True Trash had a golden cardboard sleeve made with a flocked red texture finish on the front cover and a screen-print on the back.